Smartphones HomTom HomTom S8 - Budget Samsung Alternative? HomTom S8 - Budget Samsung Alternative? Is the HomTom S8 different from the numerous Galaxy S8 clones out there already? With the release of every flagship Samsung smartphone there comes a series of very similarly-designed devices from China. Most times with less quality in terms of specs but obvious aesthetic similarities. The HomTom S8 is one of these, and as the name suggests, it’s a device modelled after the Samsung Galaxy S8. So what does this one bring to the table? This is not HomTom’s first Samsung Galaxy lookalike and isn’t likely to be their last either. Their recent HomTom S9 smartphone, while copying the name, is closer in design to the Xiaomi Mi Mix series. As it is with many smartphones like this, the major selling point is the low price tag & flagship looks, leaving us with the question of whether the HomTom S8 is worth its money? 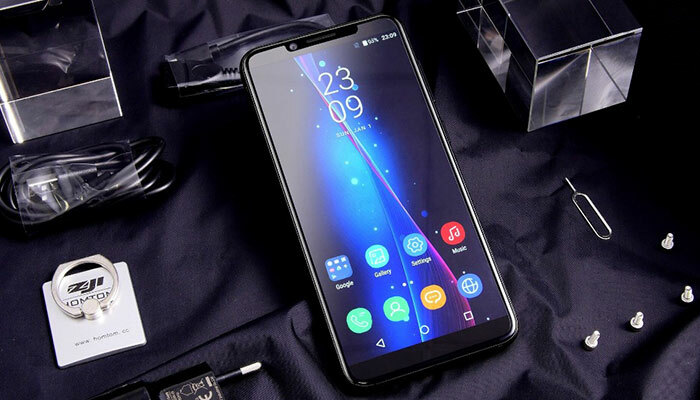 The HomTom S8 comes with a 5.7-inch display, and gone are the days when such a large screen size automatically translates to a device that’s uncomfortable to hold in one hand. Its 18:9 aspect ratio gives you a slimmer and longer display than similarly-sized device screens with a (now old-fashioned) 16:9 aspect ratio. The device’s HD+ (1440 x 720) display resolution isn’t the best you will get in the market, but all the same, it outputs good colours and sharp text. Sunlight legibility is also good, but HomTom could have knocked it out of the park with their S8 by including a Full HD display. 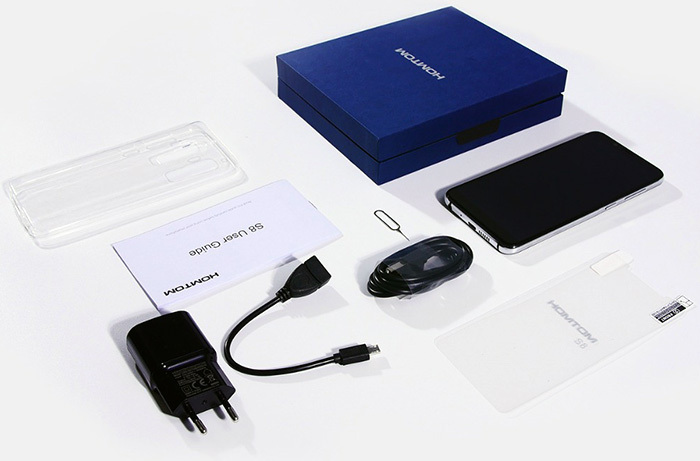 The quality of the HomTom S8’s build materials are good, and the device is even more durable than the Samsung Galaxy S8 thanks to a plastic rear. Yes, it’s the old ruggedness vs premium materials conundrum. While a glass design would look and feel great, it’s much more likely to crack or shatter. From afar you’d be hard-pressed to spot the plastic glossy glass imitation on the S8… but the illusion is soon shattered once you pick it up. The phone’s frame is made from metal and looks great for a budget device copying the sleek curves of the Samsung’s similarly names phone. While a bit on the heavy side at 179 grams, it’s still well within acceptable levels. The 7.9 mm thickness is something to be excited about as this is actually 0.1mm thinner than the real thing! It also comes with an impressive 83% screen-to-body ratio meaning more screen real estate to perform activities like reading and watching movies. Screen Tech Specs: 5.7 inch display, 1440 x 720 resolution, 250 PPI, 18:9 Aspect Ratio with curved edges, 83% screen-to-body ratio. Colours Available: Midnight Black, Coral Blue, Arctic Silver. The HomTom S8 is powered by the MediaTek MT6750T processor which has become a common component in the mid-range category. It would have been nice to see the Mali-T880 but the more budget-orientated Mali-T860 MP2 GPU can still handle all but the most graphically intensive games stutter-free. Performance isn’t an issue on the HomTom S8, and with 4GB of RAM, multitasking on the device is seamless. The device performs quite well in the various benchmark tests ran on it, and 64GB of expandable internal storage is a decent offering. 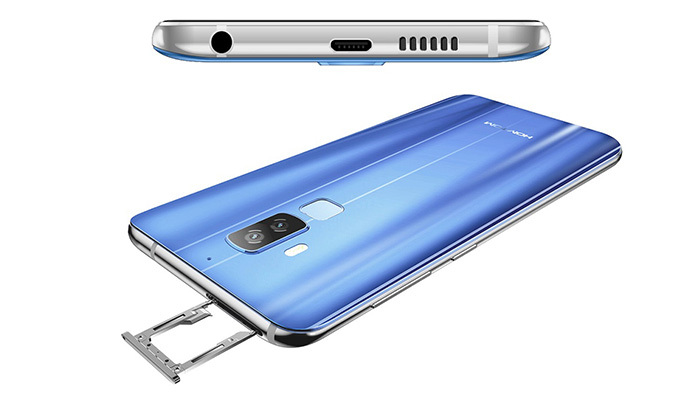 The HomTom S8 sports a dual camera setup consisting of a 16MP primary camera and 5MP secondary camera on the rear. The primary camera does quite well on its own, delivering great shots both in outdoor and low-light conditions. The secondary camera does seem like an unnecessary addition, though, as it has a higher percentage of misses when used to shoot portrait photos. The background blur added to images is not perfect, but since it’s an optional feature, you can choose not to use it at all. The 13MP camera on the front of the HomTom S8 takes decent selfies, and video recording is also decent. Low-light photography is an issue here though, as it doesn’t come with a LED flash on the front, unlike the dual LED flash accompanying the rear cameras. The HomTom S8 won’t win awards for innovation – the design is… let’s say… very familiar. But HomTom isn’t trying to deceive anyone with a name like the S8! That said, the HomTom S8 has its own advantages over the Samsung Galaxy S8. It’s more durable with the absence of glass, and the fingerprint sensor on the rear is well-placed to avoid those grubby fingerprints on your camera lens. Some features like the micro-USB port and battery capacity could have been improved to give it an edge over competing smartphones, but when you consider its price tag in relation to the specs it offers, I’d say this is a pretty good offering. The decision to put the Micro+Nano/microSD card slot on top of the device is a smart one, as it helps the phone achieve a slim design without trade-offs in internal components, as is wont to happen in budget devices. UK Network Coverage? Yes, the HomTom S8 comes with full UK Support for all carriers. Ambient light, Gravity, Gyroscope, Proximity. Review Hub Tech Contributor - from time-to-time we have guest posters here at Review Hub. 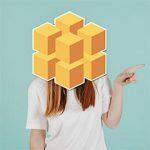 If you see the Review Hub cube, you know the post has been written by a member of the Review Hub Community.